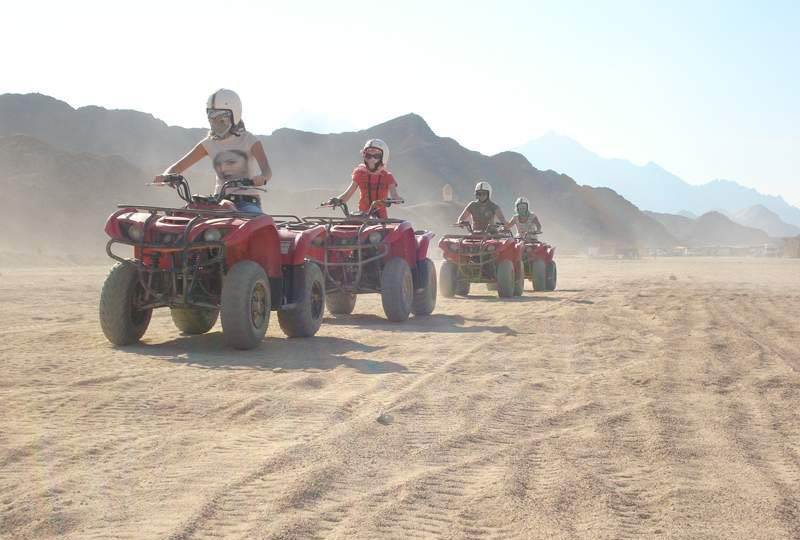 Zoom through the Egyptian desert on four wheels on this fun 2-hour family-friendly quad bike adventure from Hurghada. 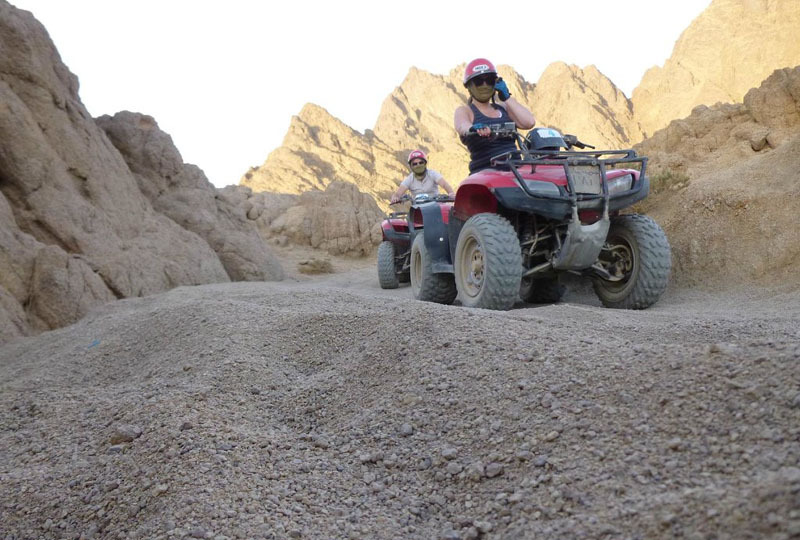 Choose from a sunrise or sunset trip, and with an experienced instructor-guide to lead the way, hop aboard a rugged quad and take an exhilarating ride across the sands. 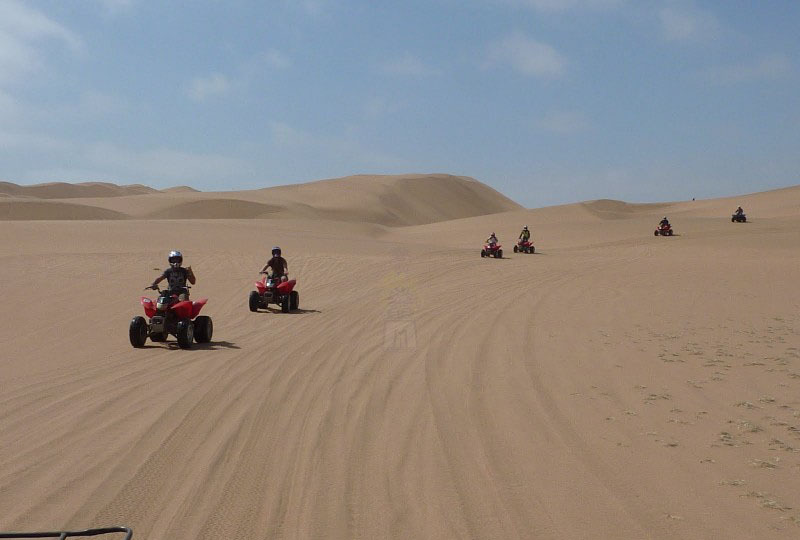 Conquer dunes and crags as you pick up speed and confidence, and soak up the stark beauty of the desert landscapes in the light of the rising morning sun or a golden sunset. 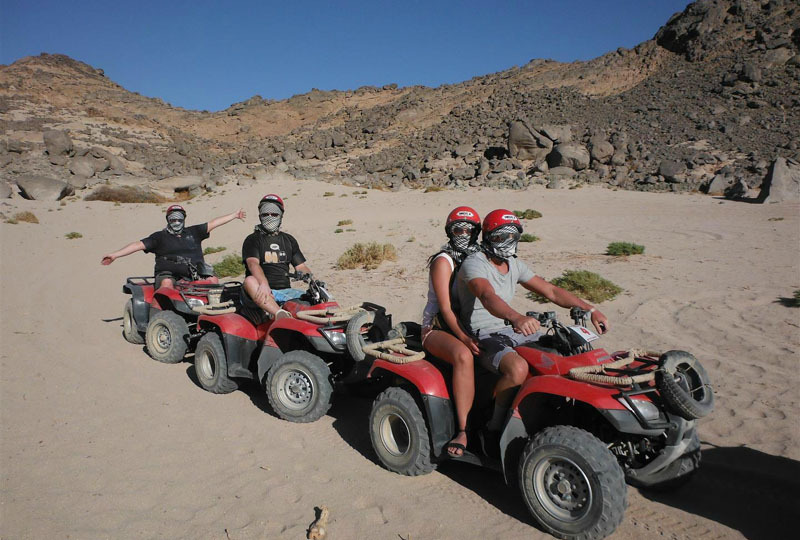 No quad biking experience necessary! Choose from a sunrise and sunset tour when you make your booking. 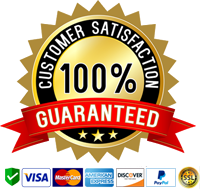 Then, when the time comes, begin your experience with a pickup from your central Hurghada hotel. 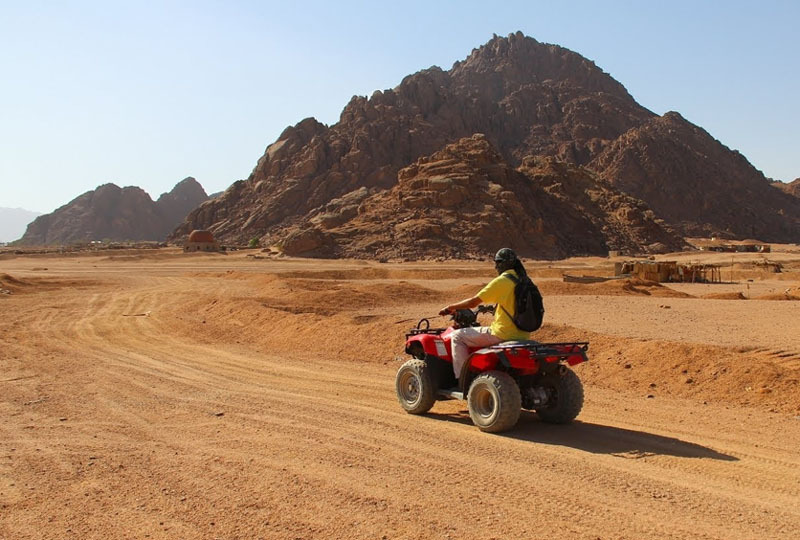 Meet your friendly guide, and travel by air-conditioned vehicle to the quad bike base station in the surrounding desert. Listen to a short safety briefing, put on your provided helmet and get instructions on riding your rugged, modern bike. 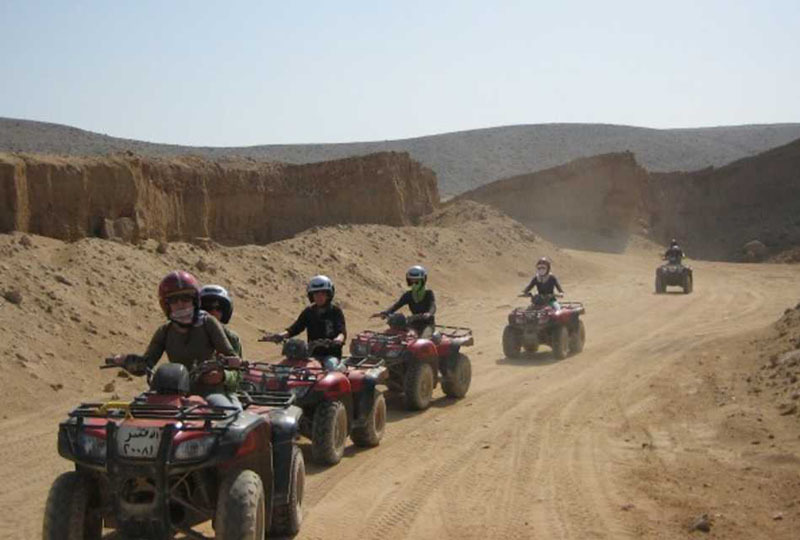 Then, simply hop aboard, rev the engine and set off into the desert in convoy behind your experienced instructor-guide. 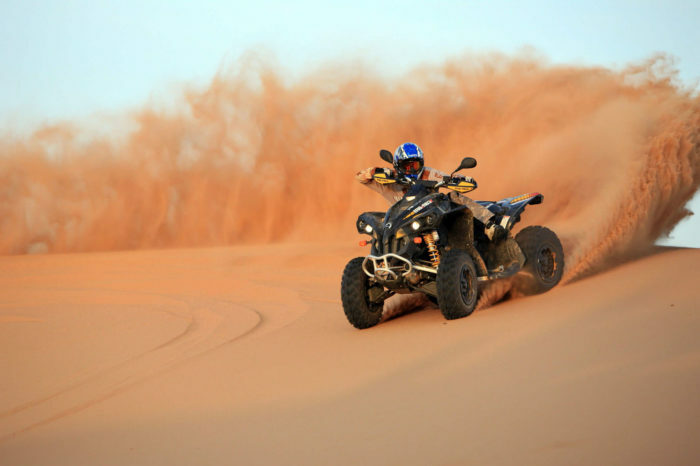 Ride across the sandy expanses as your bike kicks up clouds of dust, and feel your adrenaline pump as you pick up speed. Negotiate rugged crags and dunes as your confidence builds, and make stops along the way to drink in the magical surroundings — with the desert either cast in the first piercing rays of sunrise or the vivid orange and gold hues of sunset. After around two hours of zipping through the desert, return to base, and disembark from your bike. 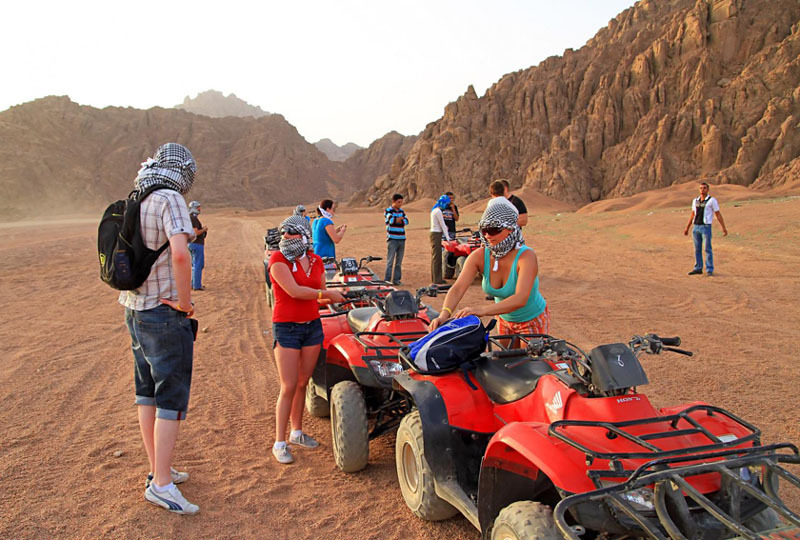 Then, ride back to Hurghada where your experience ends with a drop-off at your hotel.